Even though school has already started around here (hello, early!!! ), it is still summer. Summer is meant for relaxing. Well, looking back on this summer, I didn't really do much relaxing.... except on our honeymoon. To me, the best place to relax is on the beach (hence the reason we went to Jamaica). There are few things better than lounging on a beach chair with your toes in the sand reading a good book listening to the waves crashing. Unfortunately, Memphis is a litttttle bit far from the beach. Jeremy and I actually had a day with nothing to do (for once) so we took advantage of it and relaxed. 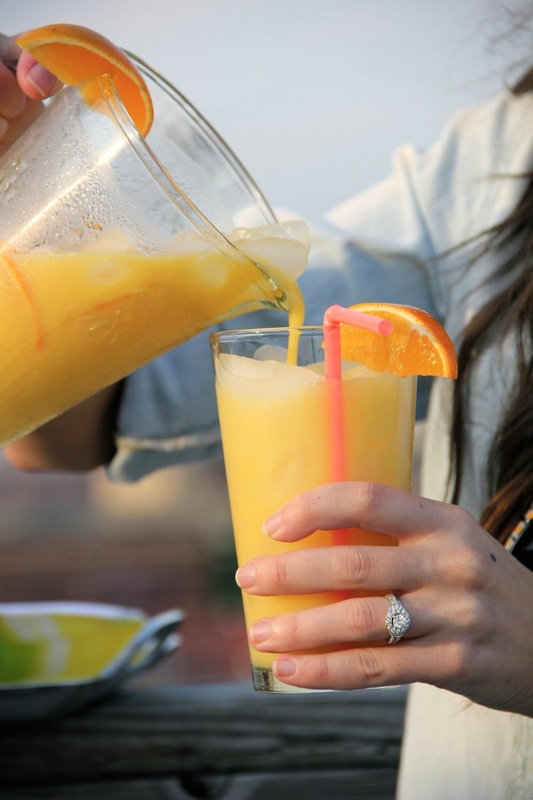 We put on beach-y clothes, mixed up a refreshing drink, and relaxed in the sun on our rooftop. It was silly and it was fun and it was exactly what we needed. In honor of National Relaxation Day, there is a huge sweepstakes going on leading up to August 15th. It's called the "Summer of Go" Sweepstakes and they're giving away incredible travel packages each week!! Soooo you pretty much should go enter. Ok, now I bet you're wondering what this refreshing drink is all about. 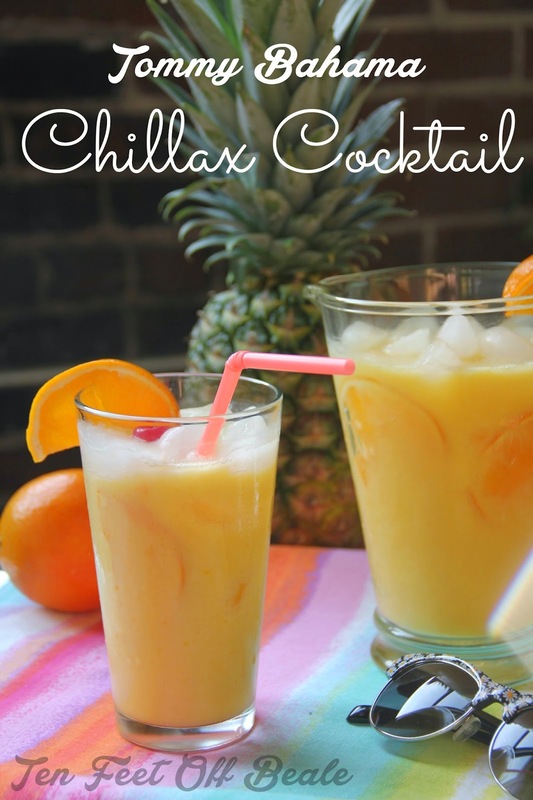 Well, it's called "Chillax" and it was created by the people over at Tommy Bahama! Let me tell ya, it takes you right to the islands. Combine. Shake over ice and immediately strain over cubed ice. I used one mango and pureed it in my blender. Coco Lopez can be found with the drink mixers in the grocery store. Also, we added some orange slices and cherries! If you realllly wanted, you could add some rum. Even though we celebrated National Relaxation Day a little bit early, I highly encourage everyone to take time and simply relax!! Love this! Gotta try the drink, we're off for the next 9 days until school starts and we can sip them as we relax. Looks delicious! The photos are cute, too!